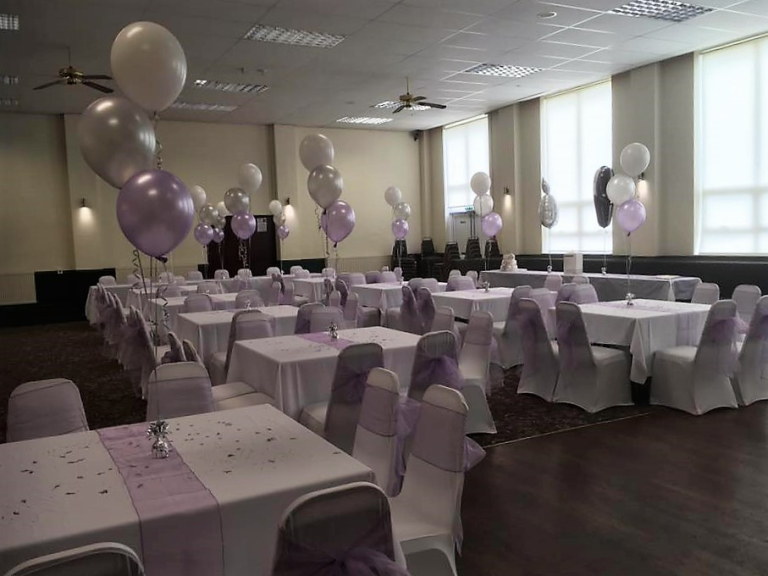 Bridgtown Social Working Men's Club has a large and flexible function room available for hire for a wide range of events in Cannock including weddings, football presentations, birthday parties, christening celebrations and more. Bridgtown Social Working Men's Club function room is popular for private hire for a wide range of events thanks to the competitive pricing, additional services available and the size of the function room. Whatever the occasion Bridgtown Social Working Men's Club can provide a great function room hire package. The function room has a capacity of 350 people for standing events or around 150 - 250 for events requiring seating. The room can be laid out specific to event requirements and all other event services can be arranged by the venue. Additional services arranged by the club upon request include hot or cold food, room decoration, entertainment, DJ, photographer and car hire. Parking is not an issue thanks to a large on-site car park. Bridgtown Social Working Men's Club have a late bar license for evening events to ensure your party isn't cut short, and the freehold licenses of the venue ensures a wide range of drinks, all at very competitive prices. Function room hire charges are very reasonable with reductions available for midweek hire and also for charity events. The resident DJ offered is a trusted supplier who always delivers a great event and is available at preferential rates. Bridgtown Social Working Men's Club is proving a popular wedding reception and party venue for the Cannock area so please call early with your desired dates to avoid disappointment. Please mention thebestof Cannock when contacting Bridgtown Social Working Men's Club for function room hire.